Broadcast of the live recorded sets during Trance Department – On the way to Transmission, from Friday 29.11 in Club Mecca in Prague, Czech Republic. A full Mecca club started the Transmission weekend in a great way by gathering for the pre party. 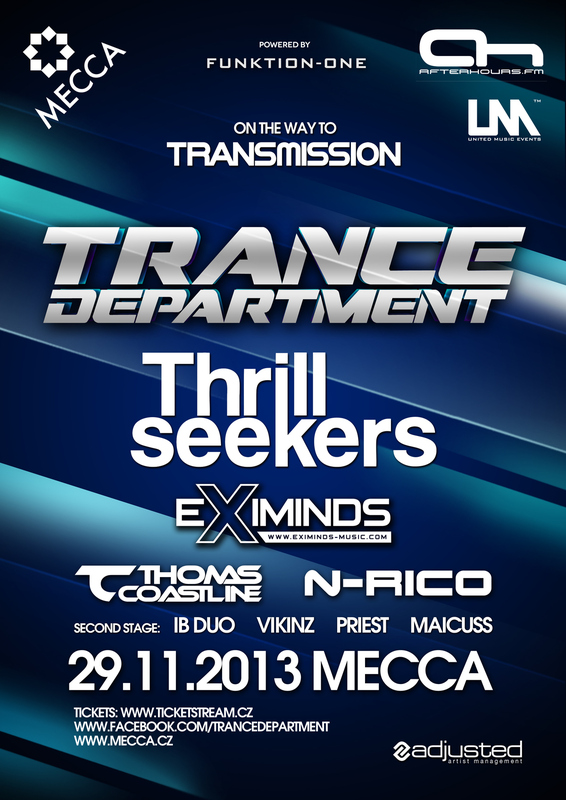 The Thrillseekers also composed the well known Transmix for Transmission the day after and one of Trance Department residents, Thomas Coastline was the Transmission warm up DJ. Last edited by C!C@; Dec 14th, 2013 at 17:11.
missed Thomas Coastline B2B N-Rico what a shame. Fail on the mix right now.